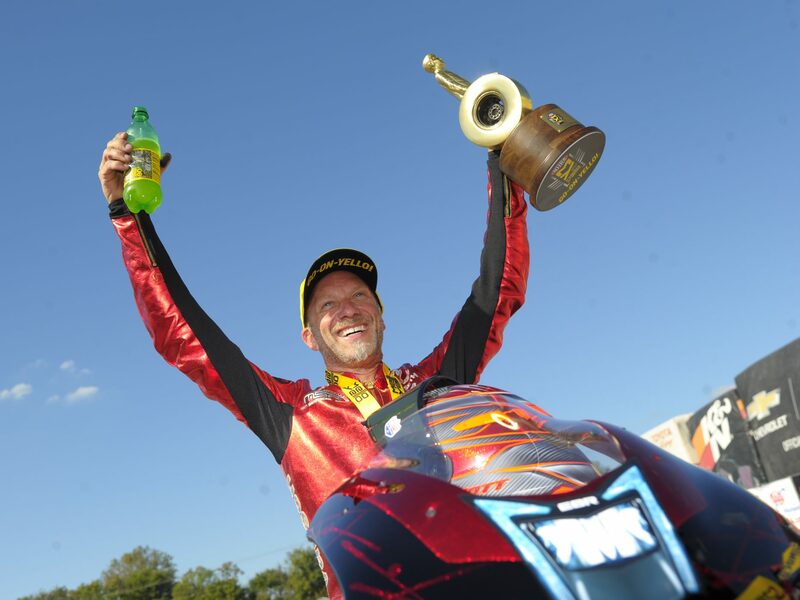 Matt Smith already has a blueprint for success to win a NHRA Mello Yello Drag Racing Series title, and things are going according to plan for the two-time Pro Stock Motorcycle world champion heading into this weekend’s AAA Texas NHRA FallNationals at Texas Motorplex. 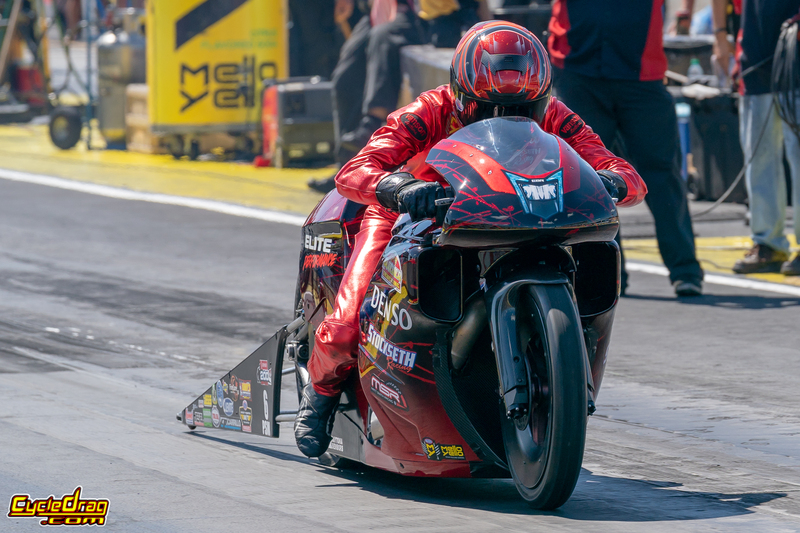 Smith has advanced to the final round of the first two playoff races in the Mello Yello Countdown to the Championships, winning in St. Louis and grabbing the points lead on his Elite Motorsports DENSO Auto Parts EBR. It’s a strong start as Smith seeks a third championship in a talent-heavy class, but there is still plenty of work to do, at least according to what the veteran believes will be necessary to clinch another world title. Brittany Force (Top Fuel), Robert Hight (Funny Car), Jason Line (Pro Stock), and Eddie Krawiec (Pro Stock Motorcycle) were last year’s winners of the event that will be televised on FOX Sports 1 (FS1) and FOX Sports 2 (FS2), including live final eliminations coverage on FS2 starting at 12:00 p.m. (ET) on Sunday. 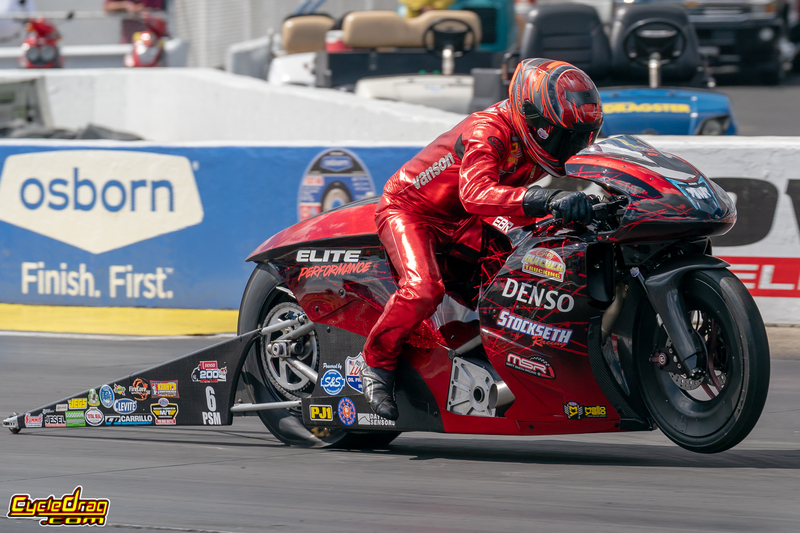 It marks the halfway point of the six-race Countdown to the Championship and is also the 13th of 16 races during the Pro Stock Motorcycle season. 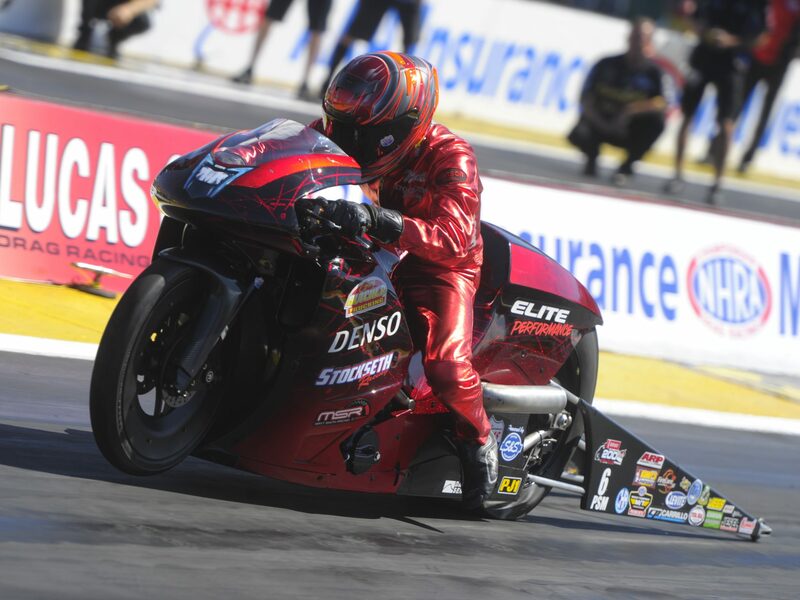 Ever since debuting the bike Smith affectionately calls the “Red Rocket,” he has been on an impressive tear. It debuted in Brainerd at the penultimate race of the regular season, starting a string of three straight No. 1 qualifiers. 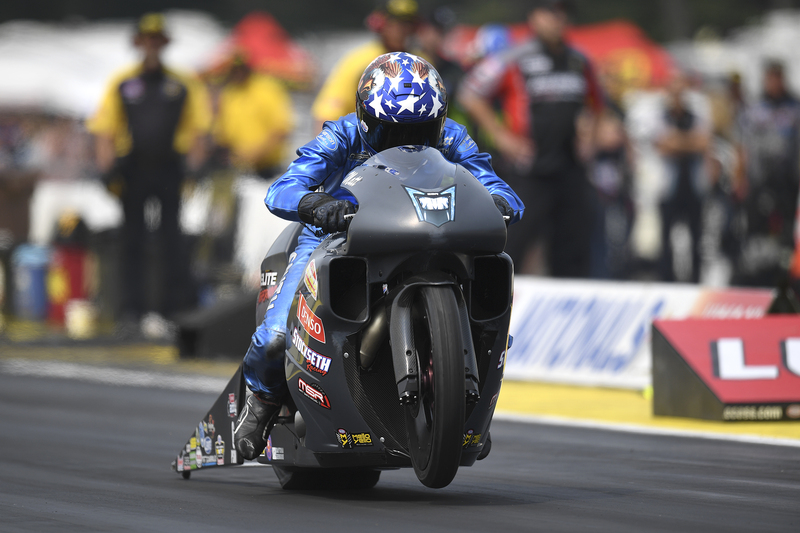 That included the playoff opener in Reading, where Smith advanced to the final round to jump to third in points. 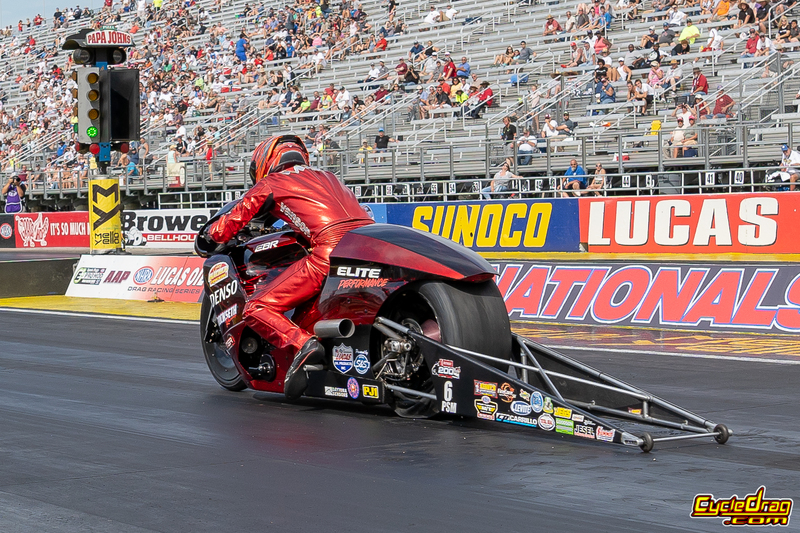 A final-round win against LE Tonglet in St. Louis gave Smith the points lead, one he hopes to hang onto for the next four races. Smith, who has two wins and three final-round appearances in 2018, currently holds a slim 21-point lead on Tonglet and 41-point advantage on defending world champ and event winner Eddie Krawiec, meaning there is still plenty to be decided over the next four races. A first career victory in Dallas would keep Smith’s momentum going, but he’ll also have to deal with the likes of Hector Arana Jr. and Andrew Hines, who are both less than 65 points behind Smith.